Next dates are 20th June 2018, 18th July 2018, 15th August 2018, 12th September 2018, 17th October 2018, 21st November 2018. Please contact Liz Moore on 01274 679843 for more information. 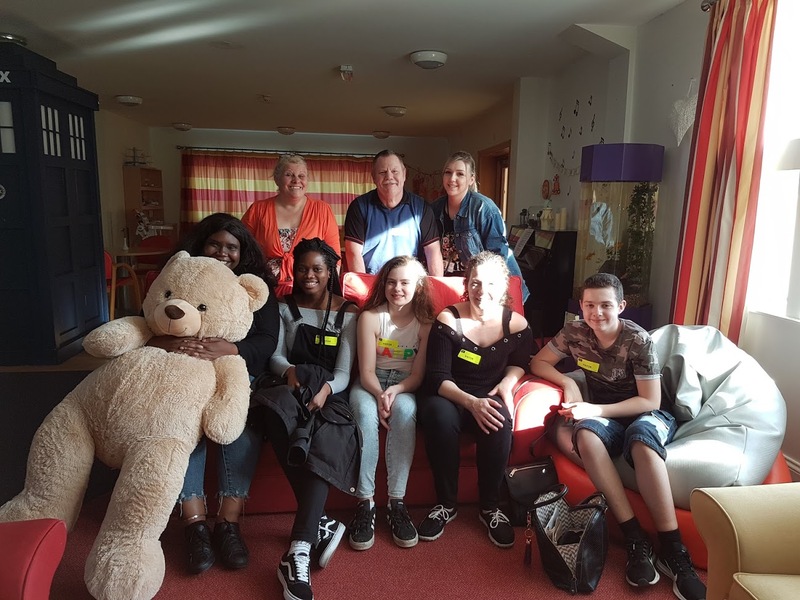 We would like to say a BIG thank you to our young volunteers who have been working hard over the last few months with social action activities. In March a group of young people took part in a graphic design workshop at Bradford College and designed some signs for the Sedbergh Youth & Community Centre Café. We have now received these wonderful designs which you will see on display at the centre over the next few weeks. 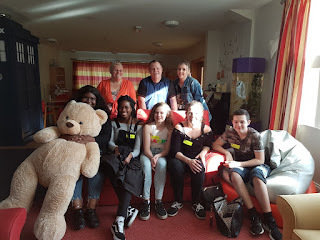 We are also very proud to report that a small group of young people (see picture opposite) volunteered at the Forget me not Hospice in April and helped out by sorting and tidying activity equipment that is used by the clients at the hospice. We are looking for volunteers for our Youth Club which takes place every Tuesday between 17:30 – 20:00 hours. If you are aged 18+ years and would like to give your time to help and develop young people or gain work experience in this field then this is for you. Please contact Liz Moore on 01274 679843 if you are interested.